The ICDE Secretariat works to support the ICDE community with internationalisation and networking opportunities through connecting its members internationally and through forging strong partnerships with other international and regional organisations to facilitate knowledge exchange and international collaborative opportunities. ICDE has a number of collaborative partnerships and memorandum of understandings with organisations around the world. ICDE is an NGO (non-governmental organization) having consultative status with UNESCO, and works together with UNESCO in the service of international cooperation and development. This status grants ICDE’s members a voice at UNESCO, while obliging ICDE to acquaint its members with UNESCO programmes activities and achievements pertaining to open and distance education. ICDE has been formally affiliated to UNESCO since 1967. ICDE also has a highly active membership base in Asia, and the organization is duly proud of its status as affiliate member of the Southeast Asian Ministers of Education Organization (SEAMEO), recognizing ICDE’s willingness to promote cooperation among Southeast Asian nations through education, science and culture. The purpose of the AIESAD is to contribute to the academic life of the directors, professors and students of the AIESAD member universities, through various projects of democratization of relevant and quality information in Distance Higher Education (EAD), as well as the exchange of leading experiences in this area of knowledge. The Brazilian Association for Distance Education - ABED, is a non-profit society, which, since 1995 has promoted the diffusion of open, flexible and distance education. It was founded by a group of academics interested in distance education and new learning technologies. The African Council for Distance Education (ACDE) is a continental educational organization comprising African universities and other higher education institutions, which are committed to expanding access to quality education and training through open and distance learning. The mandate of the ACDE, as a unifying body of ODL providers in Africa, is primarily to promote research, policy and quality in open and distance learning to increase access to education and training in Africa. We do this by building capacity, fostering collaboration and partnership, and advocacy. The European Association of Distance Teaching Universities (EADTU) is Europe's leading institutional association in online, open and flexible higher education, and is at the heart of the modernisation agenda of European universities. Growing from its eleven founding members in ten European nations. FuN is an acronym for “Fleksibel utdanning Norge” which translates to “Flexible Education Norway”. FuN organizes 50 Norwegian providers of flexible education; including independent distance education institutions, public universities and colleges, private institutions and training centers for business and industry. Our members provide an extensive range of subjects, courses and study programs from primary to university level, and customized courses for professionals. 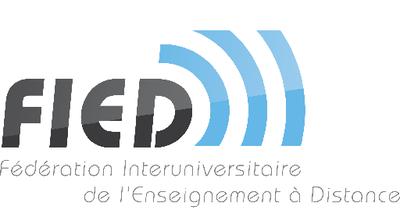 The Interuniversity Federation of Distance Education (FIED), recognized by the French Ministry of Higher Education and Research) and ICDE have a Memorandum of Understanding on FIED supporting the representation of ICDE at the UNESCO headquarters in Paris. ODLAA connects professionals in order to share experiences and disseminate information with respect to open and distance learning. Our members come from all educational sectors plus commercial training providers and training units in the corporate sector. They are involved in management, administration, design, development, research and teaching in multiple modes that may best be described as ‘outside the traditional classroom’. Open Education Consortium (former OpenCourseWare Consortium) is a worldwide community of hundreds of higher education institutions and associated organizations committed to advancing open education and its impact on global education. ICDE and Open Education Consortium share a Memorandum of Understanding, where the two organizations agree to collaborate with each other. The OERu is a virtual collaboration of like-minded institutions committed to creating flexible pathways for OER learners to gain formal academic credit. The OERu aims to provide free learning opportunities to all students worldwide using OER learning materials with pathways to gain credible qualifications from recognised education institutions. Quality Matters is a nonprofit organization comprised of a dedicated staff that works together virtually—from cities all over the United States—to support everyone's quality assurance goals. Virtually Inspired serves as a repository for knowledge-sharing; a place where educators facing the unique opportunities and challenges of the digital age can come for inspiration. This website’s high-quality videos provide a quick and easy way to see how creative professionals around the globe are infusing learning with technology.